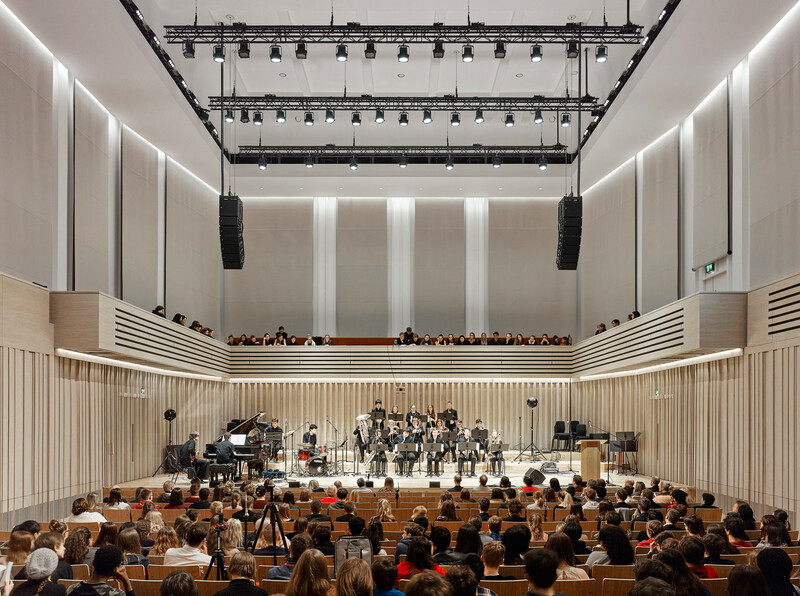 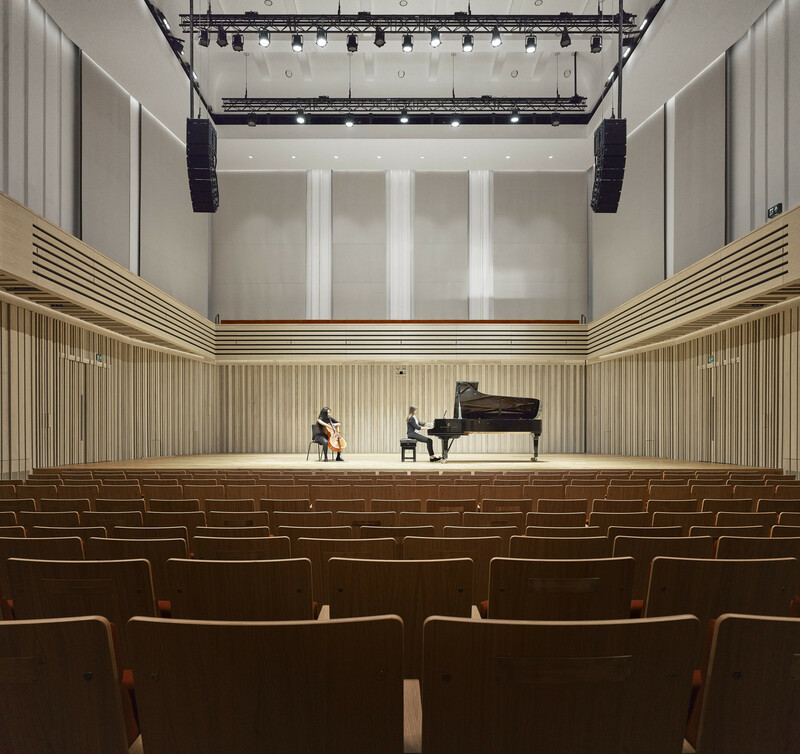 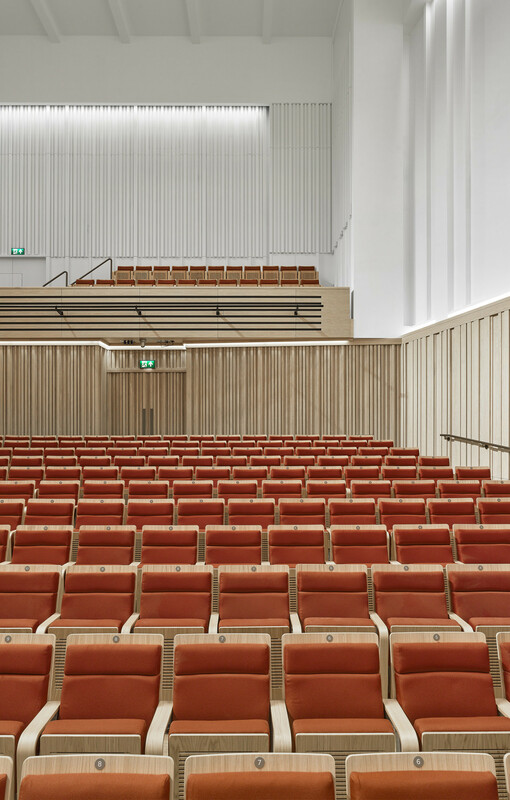 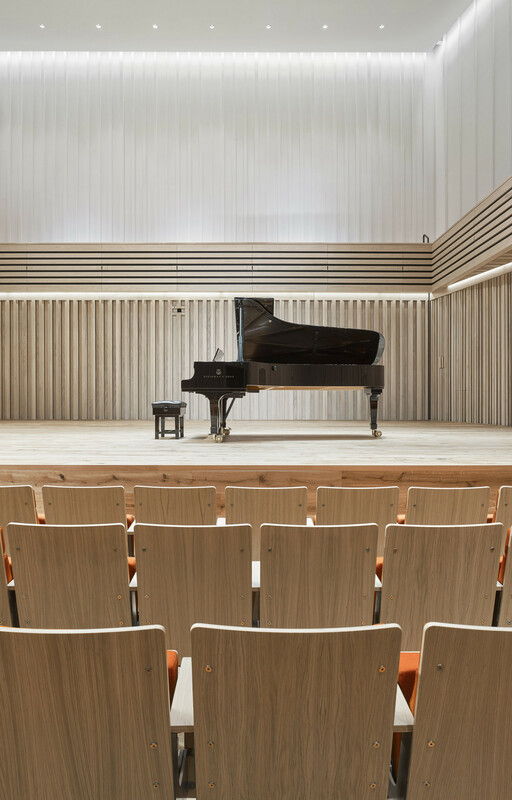 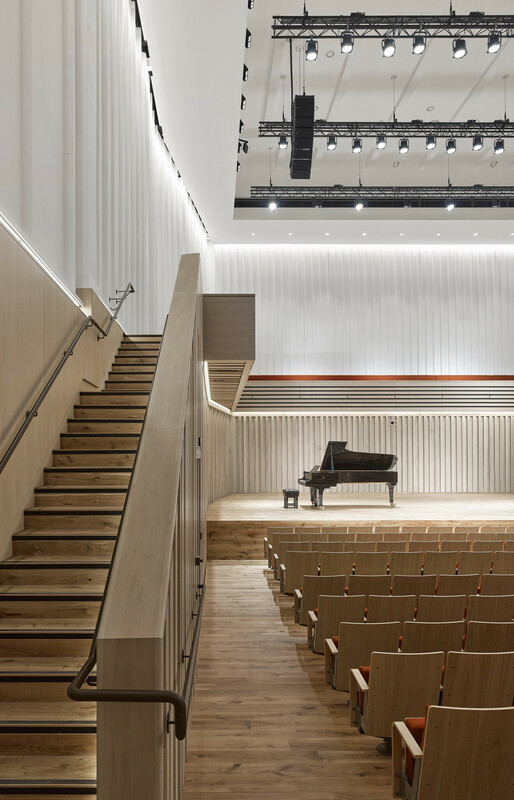 A new concert hall for Chetham’s School of Music is the second phase of the music school completed in 2012. 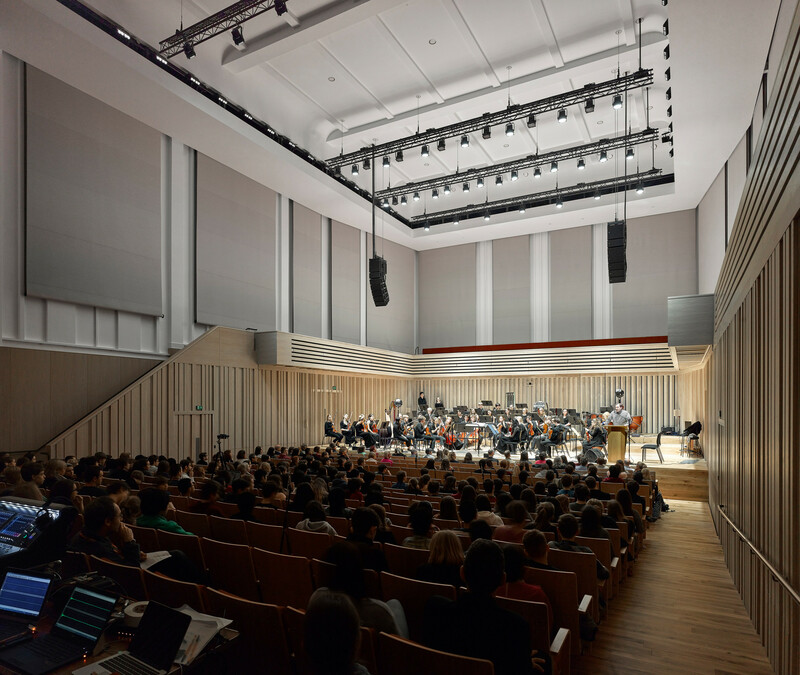 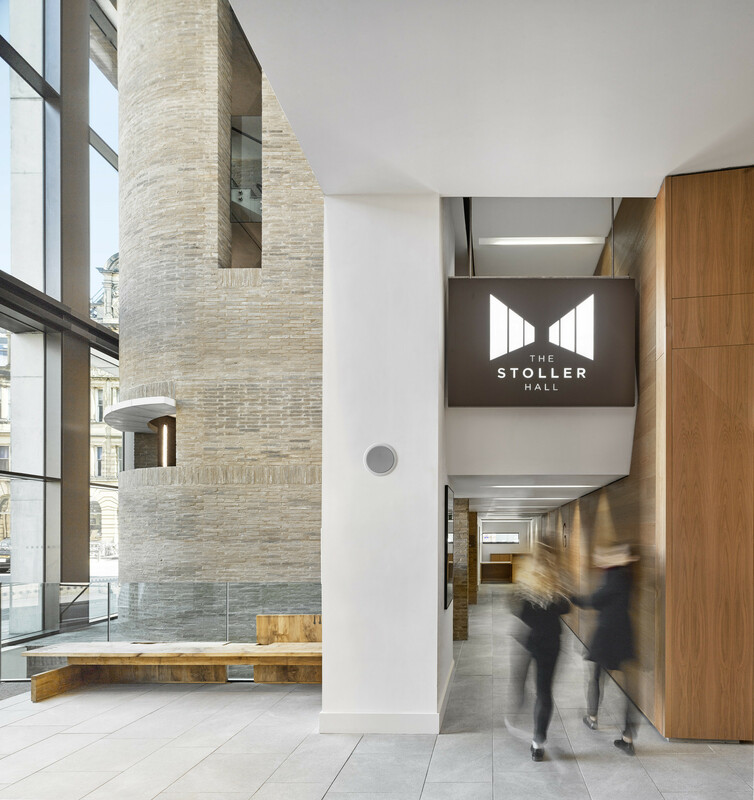 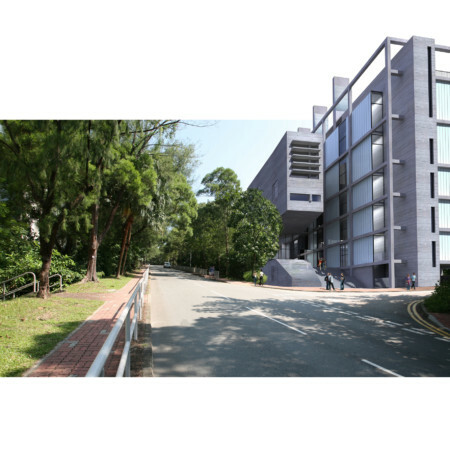 The ‘world class’ orchestral concert hall is an acoustically isolated box within a box retro-fitted into the voluminous form of the existing school of music. 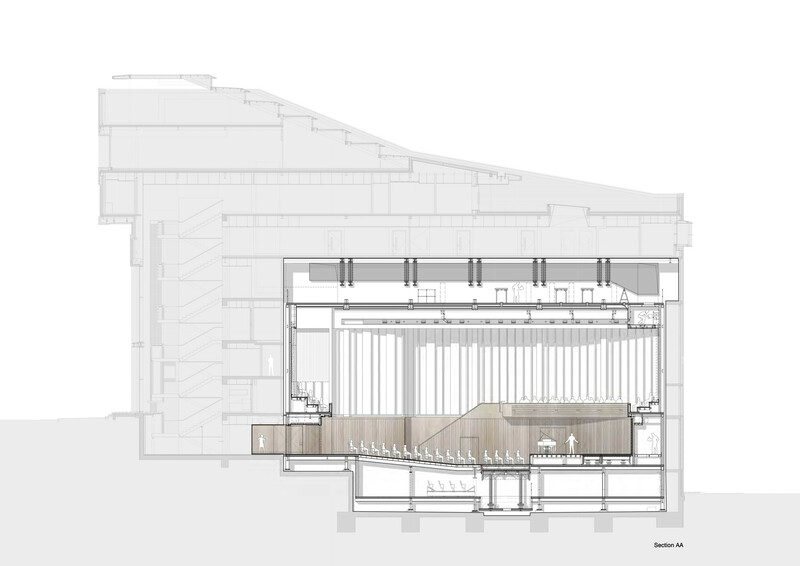 The new concert hall has a 484 seat capacity which will include a choir, gallery and balcony. 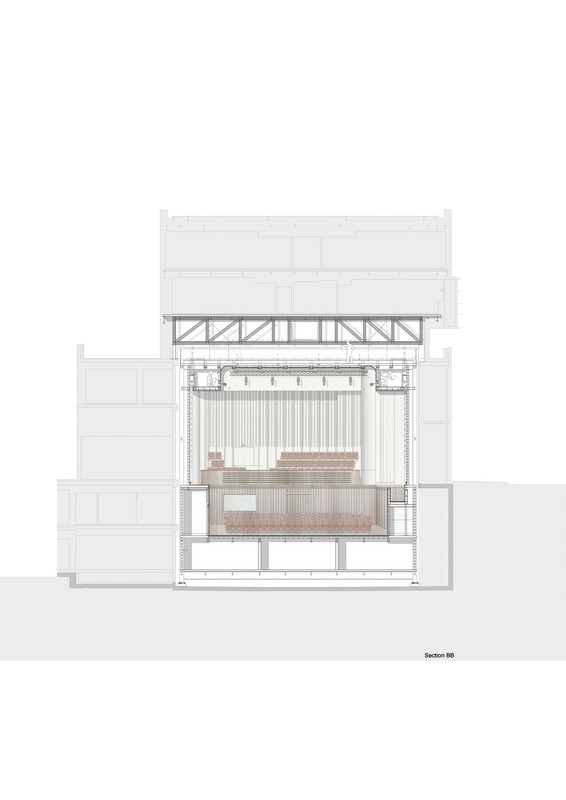 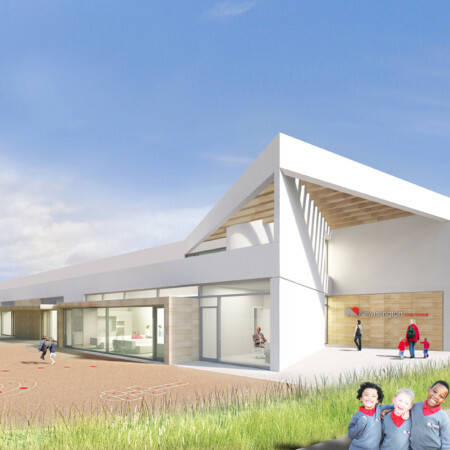 The main performance stage will be provided with a two stage riser, and the stall seating incorporates a 90 person seating wagon which allows flexibility for both the performance stage, and the stall seating provision. 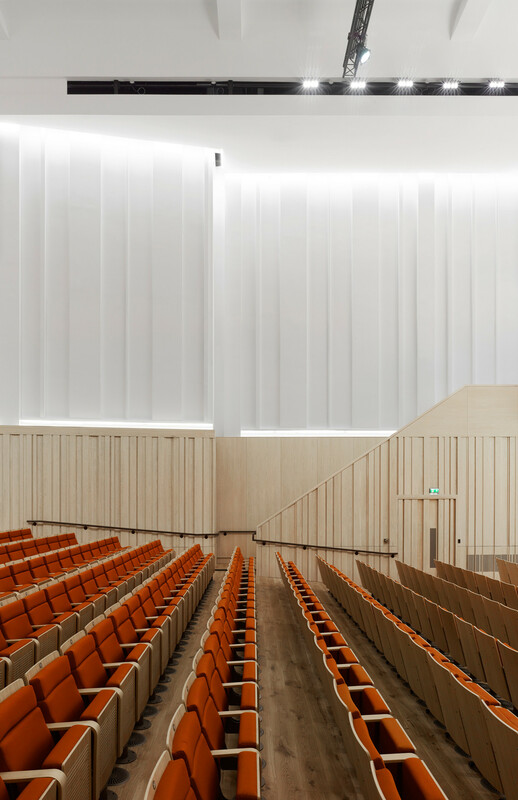 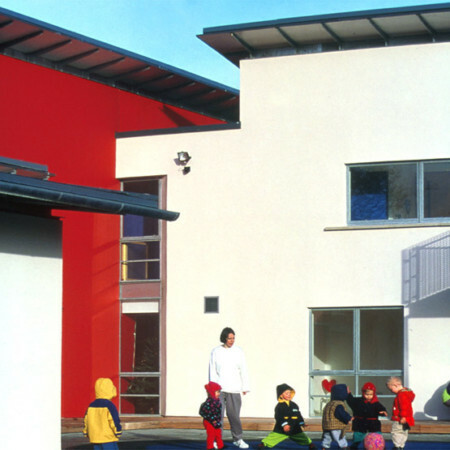 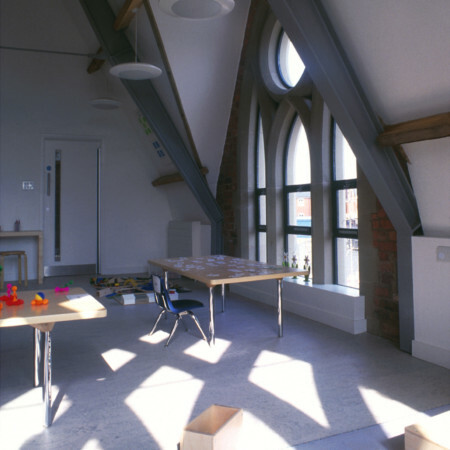 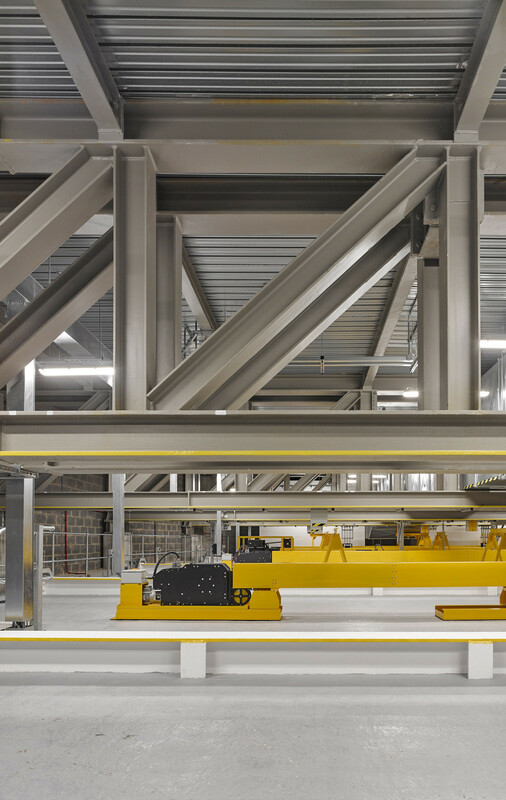 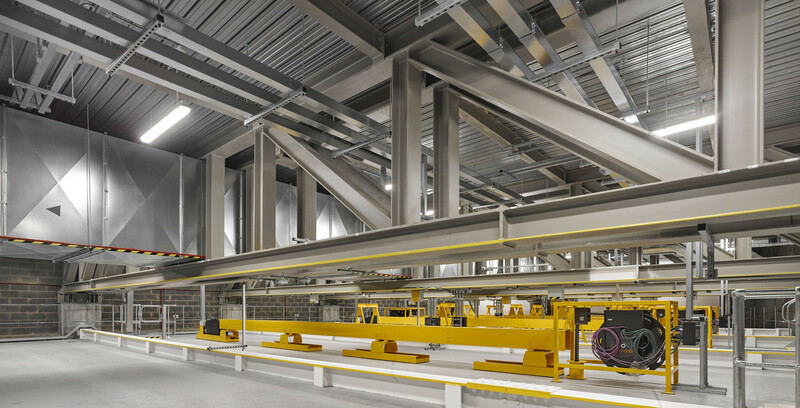 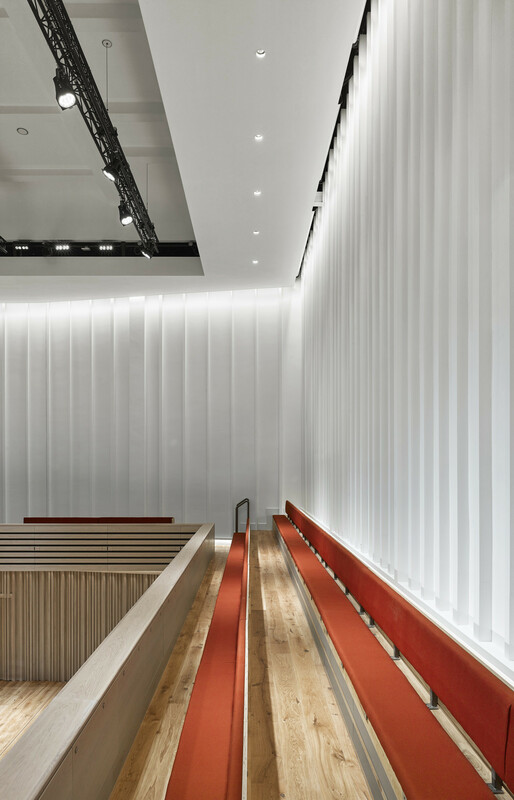 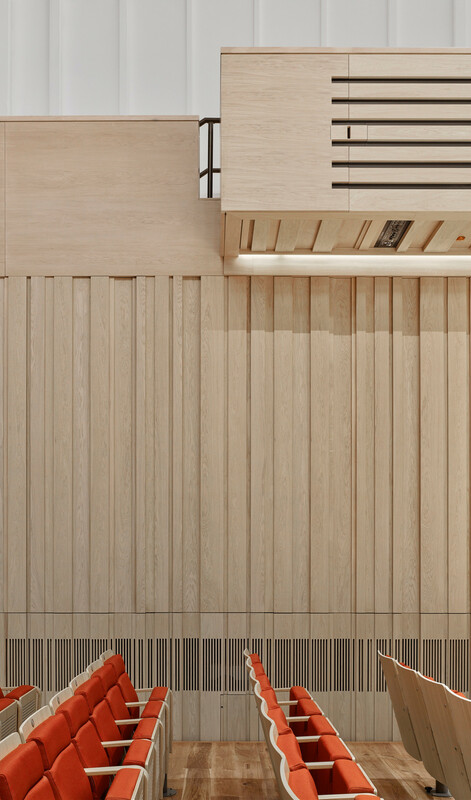 A rigorous approach to discreet service installation and the stringent acoustic performance requirements manifests itself in the architectural detailing of the interior finish. 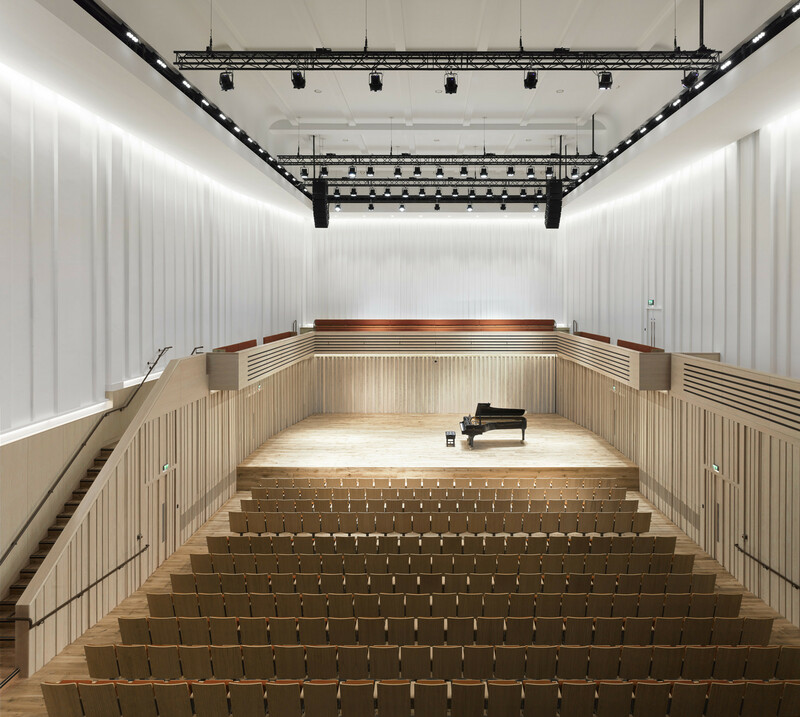 The concert hall is due for completion in September 2016.